Check out free drawings of tattoos to get inspirations for your next design. 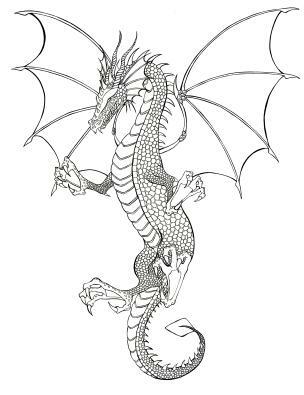 There are many available sources for your tattoo drawing out there and many are free of charge. Selecting the right design is the most important step in getting a tattoo. Since tattoos are permanent, it is critical to choose a design that you will be happy with in years to come. Have an idea of what design you want before you begin searching for a sketch of your design or you may be overwhelmed with the endless possibilities available. Almost any idea can be turned into a permanent piece of body art. At 123RF.com you can search various tattoo designs by theme or body location. They offer free pictures, designs and body art for you to print out or view. Tattoo Johnny has downloadable tattoo drawings with matching stencils for you to print out and take to your local tattoo artist. Vecteezy.com has many different images available for you to choose from and the best part is that they are all free. Don't forget another great resource is your local tattoo artist. Go to your local tattoo studio and ask if they will do a free drawing for your tattoo. While many experienced artists may charge a fee for a tattoo drawing, an apprentice in the studio may be more than willing to give you a free sketch. Feel free to bring in print outs from the internet or a picture of an image you would like turned into a sketch. Another bonus of using a local studio is that unlike website drawings, a tattoo artist will be able to give you a one of a kind sketch and it can be based on your own individual idea. There are endless possibilities for tattoo designs. When thinking of a design, choose something personal and unique for you. Many people choose an image that symbolized an important person or event in their lives. While others choose a design just based on an interest or on a design that pleases them. Some of the most popular tattoo designs are: Tribal tattoos - often done as an armband or a single design. Military tattoos based on what branch of the military the person belongs to. Flower vine tattoos are seen around the ankle or wrist. Angel tattoos can be done in any location and often are done to remember a special person. Tattoos of a name - usually done in memory or in honor of a loved one. Initials also remain popular. When coming up with a design, consider the location of where you want the tattoo. Be sure the size is appropriate for the location you choose. By having a drawing done beforehand, you can see exactly how the tattoo will fit the specific location. A tattoo on your shoulder will need to be a different size than one done for your ankle. A tattoo artist may be able to adjust the size of the image to fit your location. While there are many free drawings available online, keep in mind that you will not be the only person with a particular design. Many people search the web for designs and there may be other people sporting the same exact tattoo on their body as you! You may want a local artist to alter the tattoo drawing to make it a one of a kind piece of art made especially for you.